Big Yang Theory: Chinese year of the sheep or the goat? 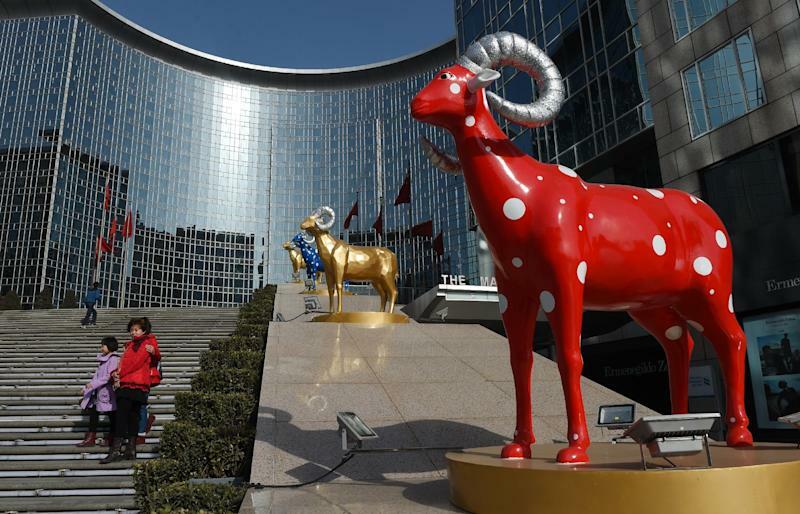 Beijing (AFP) - Sheep or goat? China's coming lunar new year has stirred a debate over which zodiac creature is the correct one -- but Chinese folklorists dismiss the fixation on animals as missing the point. 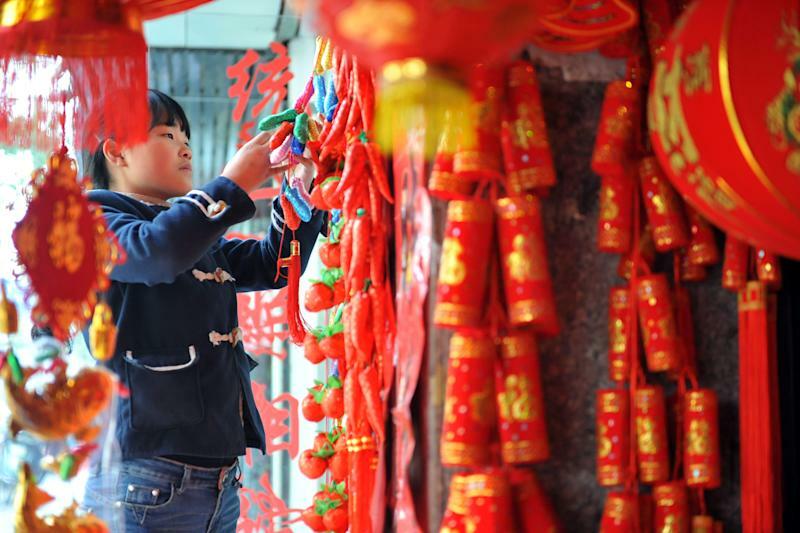 Traditional astrology in China attaches different animal signs to each lunar year in a cycle of 12 years. The symbol for the new year starting on February 19 is the "yang", which can refer to any member of the caprinae subfamily -- or even beyond -- depending on what additional Chinese character it is paired up with. For example, a goat is a "mountain yang", a sheep is a "soft yang" and a Mongolian gazelle is a "yellow yang". Both goats and sheep appear in Chinese new year paintings, paper-cuts and other festival decorations. Folklorists say it does not matter which one is used since the zodiac sign was chosen for the Chinese character's auspicious connotation rather than the specific animal -- at least in the beginning. "This 'yang' is fictional. It does not refer to any specific kind (of sheep or goat)," Zhao Shu, a researcher with the Beijing Research Institute of Culture and History, told AFP. "Yang" is a component of the written Chinese character "xiang", which means auspiciousness, and the two were interchangeable in ancient Chinese, experts say. It is also a part of the character "shan", which counts kindness and benevolence as among its meanings. "Therefore 'yang' is a symbol of... blessing and fortune and represents good things," said Yin Hubin, an ethnology researcher with the China Academy of Social Sciences, a government think-tank. "It is connected to the original implication of the Chinese character as an ideogram and reflects the world view of the Chinese people in primitive times," he said. That said, the zodiac sign is being shunned by some Chinese parents-to-be, with expectant mothers scheduling Caesarean sections to give birth before the current year of the horse ends, according to media reports. The rush apparently stems from a Chinese superstition held by some that nine out of 10 sheep will be unhappy in life -- a belief Yin dismissed as "ridiculous". More often, the animal plays a positive role in Chinese folklore, experts say. A fable that can be traced back to more than 1,500 years ago depicts five goats carrying crops in their mouth to save people suffering from years of drought in Guangzhou. The southern boom town, today the capital of Guangdong province and dubbed the City of Goats, has enjoyed timely wind and rain ever since, according to the story. While the loose concept of "yang" comes naturally to Chinese people, in the West the term can often be a source of frustration for those seeking an equivalent in their own language. A Google search suggests that in English, "year of the sheep" is the most common phrasing. In French, however, the reverse is true, with convention and an overwhelming Google ratio in favour of "chevre", or goat. Zhao thinks the translation is "open to interpretation". "Sheep, goat, Mongolian gazelle -- whatever is fine. This is the fun of Chinese characters," he said. But some scholars argue goat is a better option for the traditional Han Chinese holiday, as it is a more commonly kept farm animal for the dominant ethnic group in China, according to the official Xinhua news agency. Many Chinese people appear to be unfazed by the debate. "The year of the yang, 2015, is neither a sheep nor a goat. It is a beautiful and elegant milk yang! Abundant milk, clothes and food. It will be a halcyon year," wrote one user on Sina Weibo, a Chinese equivalent of Twitter. Eschewing the lexical debate, some users have simply opted for the animal that they see as possessing their own favoured qualities. "In the year of the yang, I want to be a strong-willed and energetic goat, not a weak sheep," another Sina Weibo user wrote.